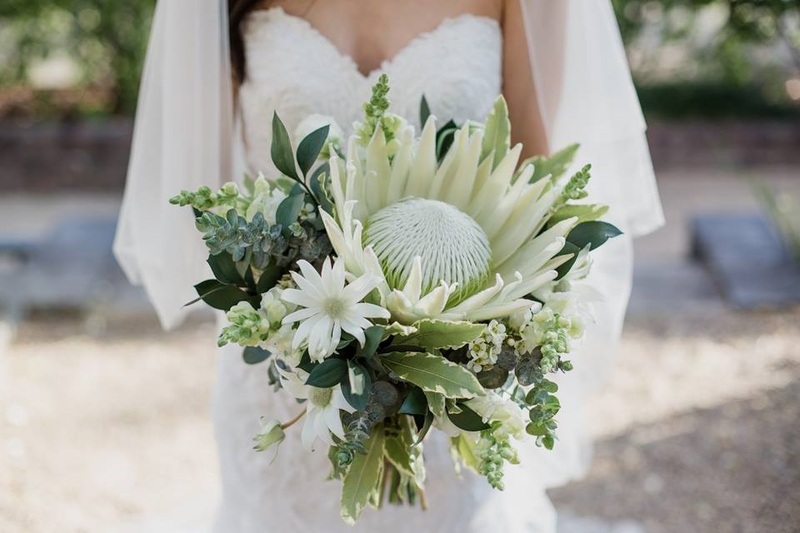 This has to hands-down be one of my favourite weddings that we have done - I love that Jess wanted to make a white King Protea the champion of her clutch of flowers. 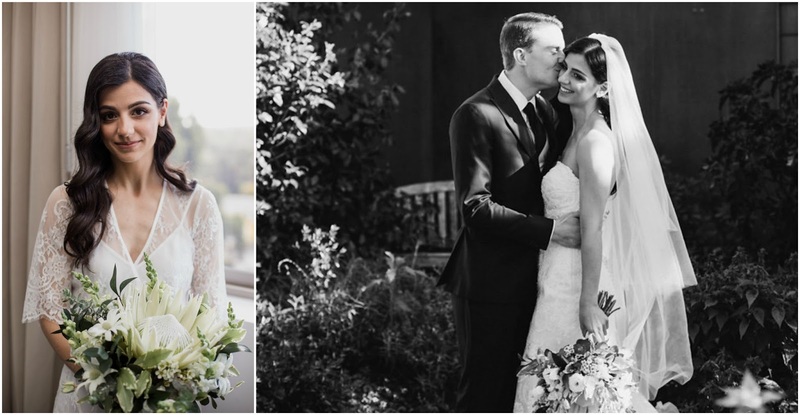 The green bush foliage and paper daisies work seamlessly to beautify Jess and Daniel's wedding day, their botanical Eden Gardens setting, and reflect their relaxed style. All photography courtesy of Bless Photography. Ceremony and reception held at Eden Gardens in Macquarie Park. Jess wears a Maggie Sottero wedding gown.